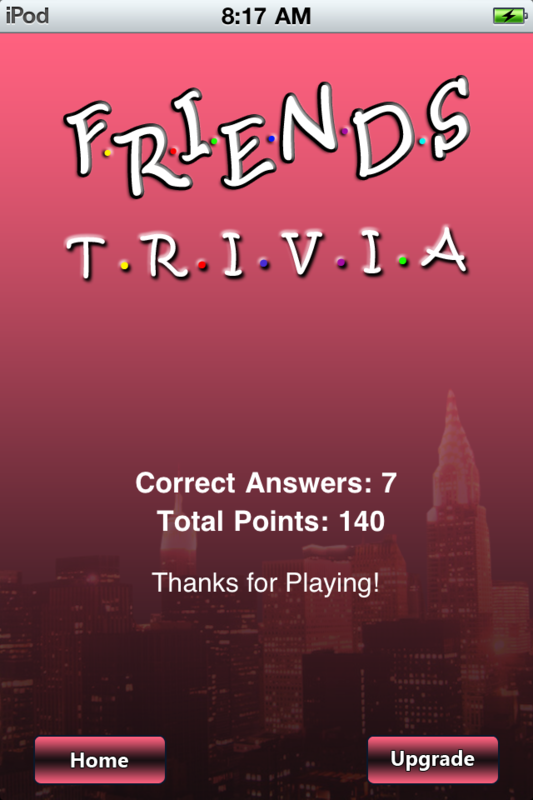 Friends Trivia Quiz Lite is the free version of the most extensive Friends trivia app available in the App Store. 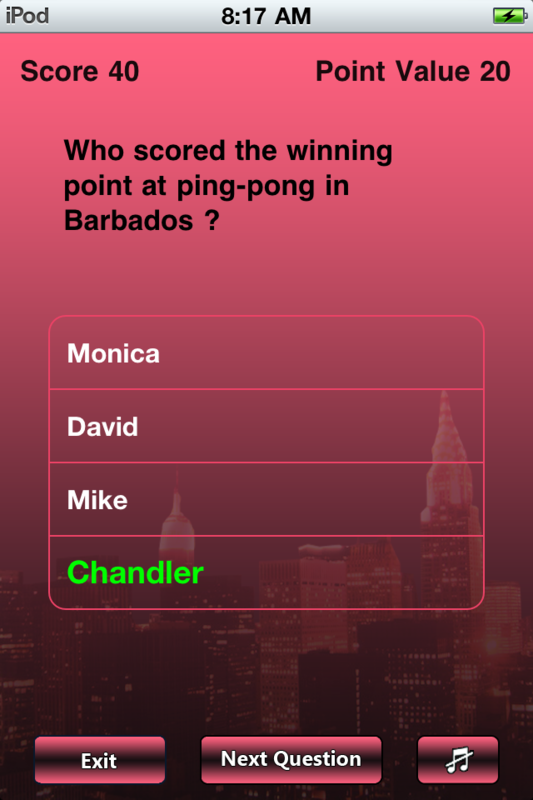 Developed out of a life-long passion for Friends Trivia, this app will be entertaining to all TV Fans. This is a Lite & FREE version and is made up of just under 75 questions. Upgrade to full version for over 200 questions.